Since Dubois, a French journalist born in Toulouse in 1950, describes a Frenchman born in Toulouse in 1950—who works briefly as a journalist—one wonders how much of the book is autobiographical. The passages describing Blick's abysmal university studies, his brush with the army, and his conflict with a psychotic office manager all have the feel of lived experience. 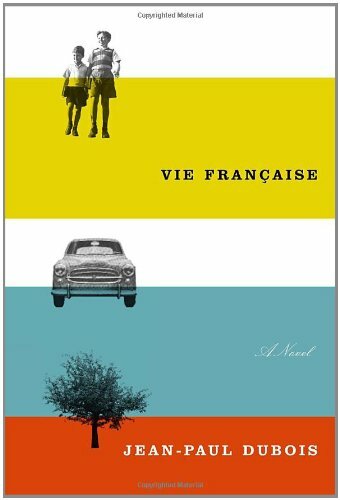 The novel also provides interesting cultural commentary on the spiritual framework of a French secular mindset. At first, "Leftism" is Blick's "theology." Sinking into middle–class life, he accepts that he is no longer "a model revolutionary activist" and realizes he believes in nothing. Even love, which he considered "a kind of belief," becomes an "illusory redemption." Toward the end of the novel, he reflects pessimistically: "whether considering my own life or the nation's destiny, I saw no way out, no light, not the slightest reason for hope or relief." At first I thought Dubois was guilty of posturing—of imitating the gloom–and–doom attitude many French social critics display—in order to give his book a Profound Ending. Given the comic tone of his novel, I now wonder if Dubois is merely satirizing this perspective. For Blick never acts on his beliefs. He never votes or is involved in any political action other than rioting as a youth. In faith, love, and politics, Blick—the archetypal soixante–huitard (1968 revolutionary)—lacks true conviction. And perhaps that is Dubois' explanation for the recent failures of the Left and the conservative swing in French society. Otto Selles is professor of French at Calvin College.